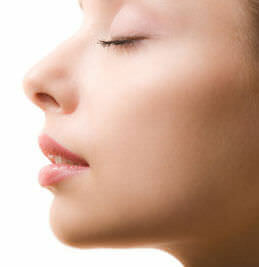 Want to get Juvederm injections in Fort Myers? Modern facial fillers like Juvederm have revolutionized contouring of the face. For those deep grooves at the corner of the mouth, wrinkles around the mouth that are severe and the folds from the corner of the nose, nothing is as effective. This dermal filler is soft, natural (since it consists of similar substances found in your own skin) and lasts around 12 months. The procedure is done under a topical anesthetic and is performed in the office. Typically, makeup can be reapplied right after completion and you can resume normal activities. I love to use Juvederm for augmentation of the lips. It is so silky smooth that it feels like nothing is there. The lips can be made more shapely and full without going to the extremes that are seen so often on the silver screen. I also use this filler for the hollowing under the lower eyelid. Juvederm is available at Dr. Stevens’ Fort Myers cosmetic surgery office with an appointment. I perform hundreds of filler procedures every year. In this website are just a few of our before and after pictures. Feel free to call and come in for a consultation.